This applique is made with our popular rose gold beads with rose gold color settings. Cuddled in those settings are beautiful high quality pointed back clear glass rhinestones. 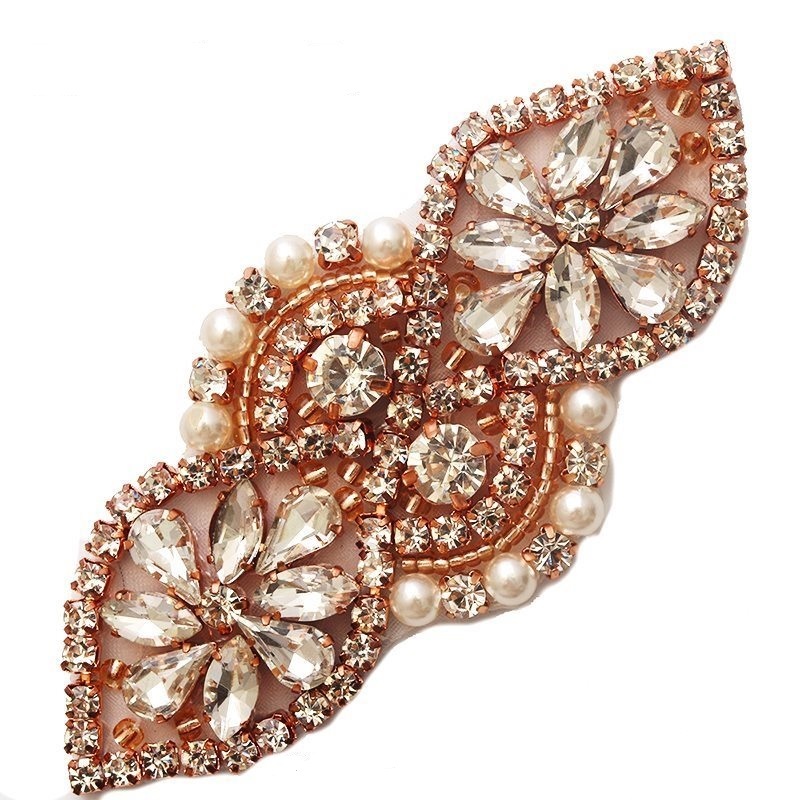 The outer edge is hugged with pearls giving this applique more elegance and softness. 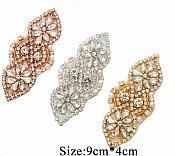 If you are preparing for your wedding and looking to add a little sparkle to your gown or accessories this applique could be of great use to you. This is one of our smaller appliques that still has an intricate design. It would be great if you are looking for just a little sparkle. However we sell all sizes of appliques across our website. If you like the design of this applique, as it is unique in its own way, you can use several pieces and make a longer applique.